A central vacuum will provide a higher level of clean to your Auburn home. 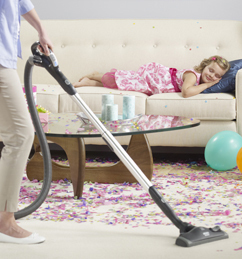 Central vacuum systems allow you to remove more dust and debris with little hassle. You won’t have to carry a heavy standard vacuum from room, instead a hose and tubing system will allow you to move from room to room with only a lightweight system to move. In your Auburn home, a central vacuum system will be one of the most valuable cleaning tools you have. Once installed, the vacuum will last for many years and require little maintenance. Not only will you get a deeper clean and higher percentage of particles removed from your home, but you will create a healthier home environment by removing allergens and dust from carpets, drapery and floors. WordPress website developed by Social Power, Inc.